TCL have officially revealed the previously-teased flagship BlackBerry KEY2 at a New York launch event. “Although there are many different smartphones for consumers to choose from today, most tend to offer very similar experiences without much distinction from one to the next,” said Alain Lejeune, Senior Vice President, TCL Communication & President, BlackBerry Mobile. In terms of specs, the BlackBerry KEY2 runs on Android 8.1, a Snapdragon 660 processor and 6GB of RAM. Overseas, it'll be available in 64GB and 128GB storage variants - both of which feature a MicroSD slot. Like the KEYOne, the KEY2 features a 4.5-inch display with a a physical keyboard attached at the bottom. It also touts the same 3500mAh battery. If anything, the biggest physical changes here come in the form of a new 12-megapixel dual-lens camera (f/1.8 + f/2.6). As you'd expect, this detail promises to help the KEY2 deliver faster autofocus and better portrait shots than its predecessor. There's also a new shortcut key, which replaces the right shift button on the keyboard, and a new "Smart Battery Experience" that TCL say will learn from your daily charging habits and recommend when to charge up so you have enough battery life to make it through your next meeting. As always, BlackBerry's pedigree for security continues to be a focus. 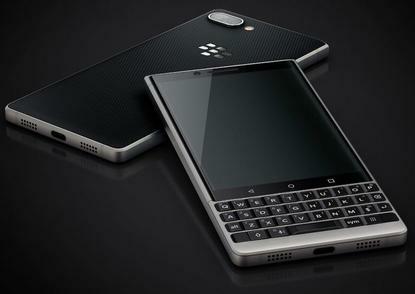 “BlackBerry phones are the world’s most secure Android smartphones. We design them for security from the inside out and we’re proud to partner with TCL Communication on the launch of their all-new BlackBerry KEY2,” said Alex Thurber, SVP and GM of Mobility Solutions at BlackBerry. No word yet on exact Australian pricing and availability but the BlackBerry KEY2 is due to ship globally throughout June/July. In the US, the device is priced at $649 - so we're expecting it to land here at roughly around the same initial $800 asking-price of the KEYOne.